Fram Museum - Polar Ship Fram Photo: Frammuseet Huk beach, Bygdoy, Oslo Photo: Nancy Bundt/VisitOSLO How to get there The best way to get to Bygdoy in the summer is to take the boat leaving from Pier 3 behind the City Hall. It takes 10-15 minutes, and the service runs from early April to early October. Bus number 30 takes you to Bygdoy all year round. 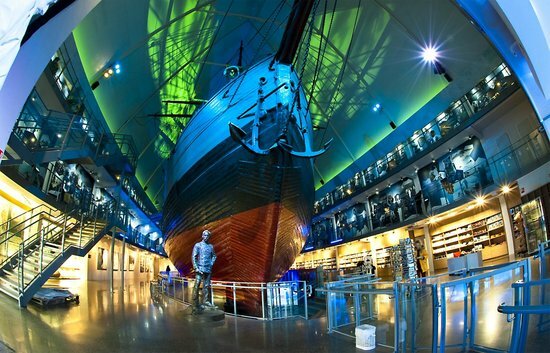 Fram Museum - Polar Ship Fram �... 5/10/2015�� At the Fram Museum at Bygdoy, Oslo you can board the world's strongest wooden ship, and see how the crew survived in the Arctic and the Antarctic. 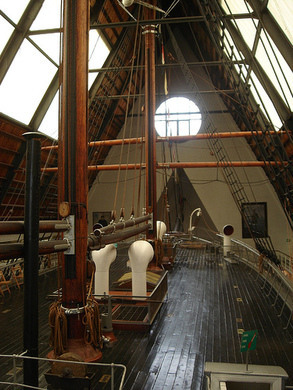 Throwback to the recent Oslo trip (Part 2 :-)) The world?s strongest wooden ship - the polar ship Fram ("Forward") - is the one that was used in expeditions of the Arctic and Antarctic regions by the Norwegian explorers between 1893 and 1912. how to feel attractive while pregnant The Fram Museum is on the Bygdoy Peninsula and there are regular bus services from the centre of Oslo, as well as a ferry service from the City Hall pier during the summer. The museum is open every day except Christmas Eve and Christmas Day and there is a small admission charge. Get the most out of your visit to Fram Museum. Here's a list of some of the best activities: Here's a list of some of the best activities: When planning your trip, you may want to think about buying a City Highlights Half-Day Tour by Bus or Boat and a City Sightseeing Half-Day Tour . warframe how to get to mars During winter, when the ferry doesn�t operate, the bus is the most efficient way to get to the Fram Museum. You can buy your ticket from the driver. You can buy your ticket from the driver. Oslo Pass covers all means of public transportation in zones 1 and 2 of Oslo (including the ferry). Visiting Oslo from NYC this weekend and have a question about getting around. 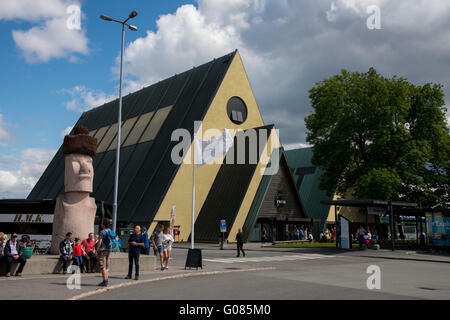 I'm staying near the central station and want to make my way to Bygdoy for the Viking & Fram Museum. During winter, when the ferry doesn�t operate, the bus is the most efficient way to get to the Fram Museum. You can buy your ticket from the driver. You can buy your ticket from the driver. Oslo Pass covers all means of public transportation in zones 1 and 2 of Oslo (including the ferry). These are the Vigeland park and the Bygdoy island on which Viking ship museum, Kon Tiki Museum, Fram Museum and the Open Air Museum are located. Find out underneath how to get there. Find out underneath how to get there.